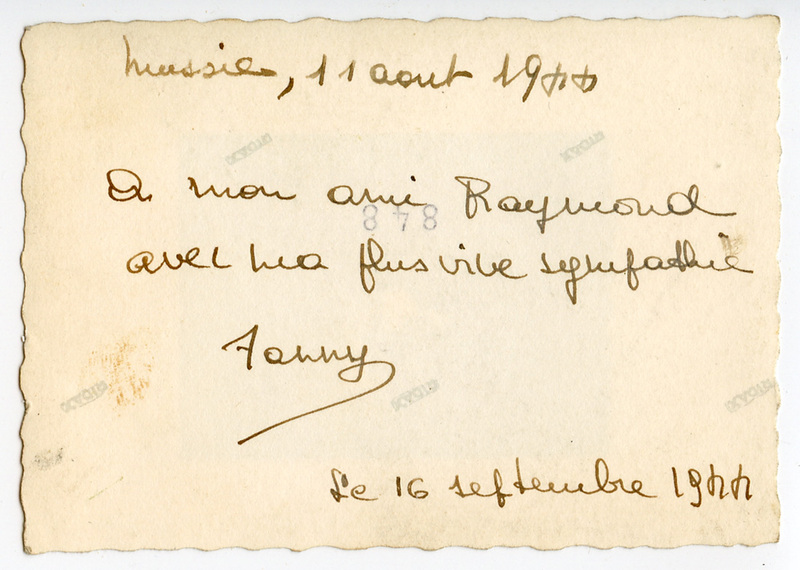 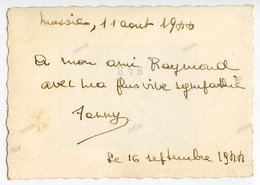 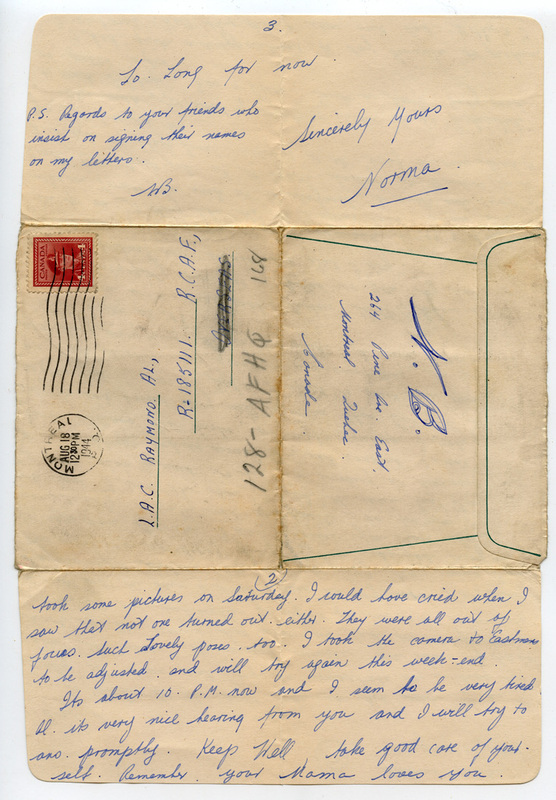 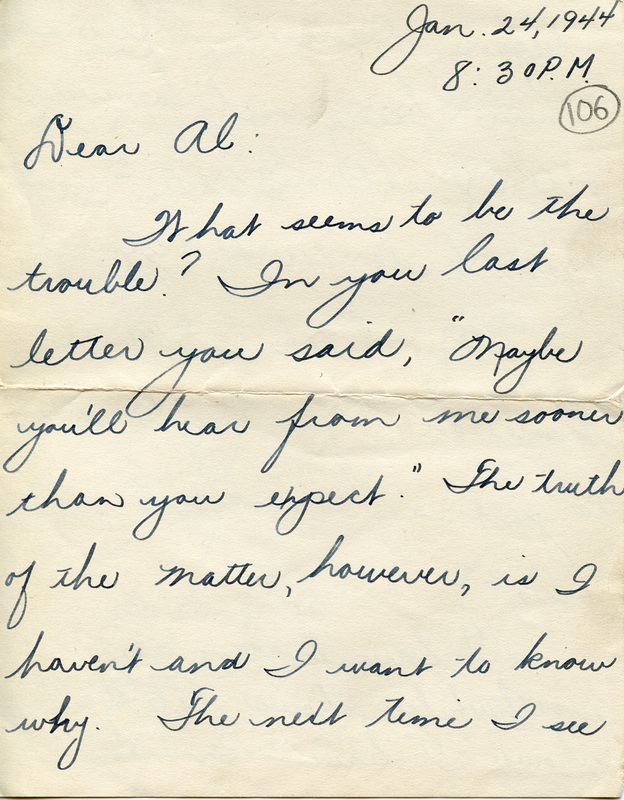 Norma Bernstein writes to Allan Raymond, wondering if he has been changed by the war. 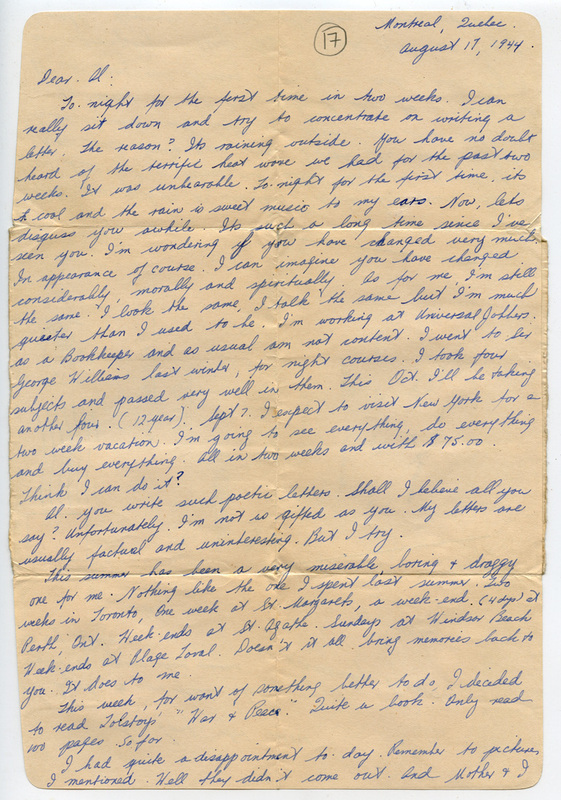 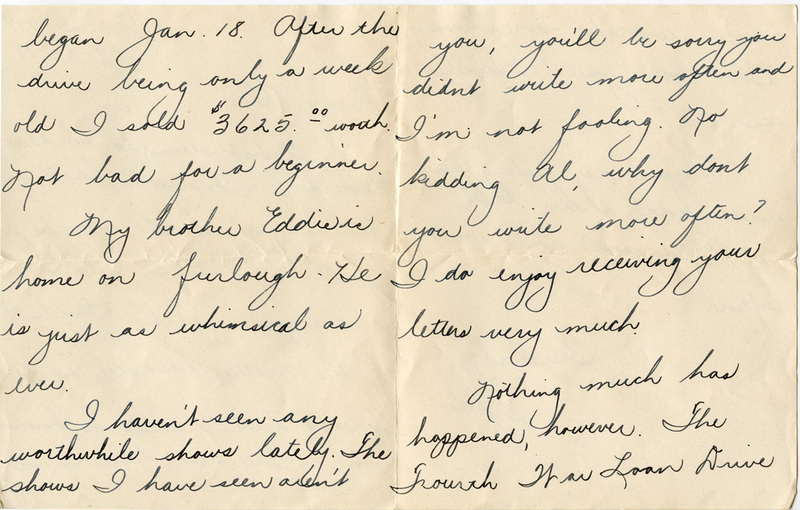 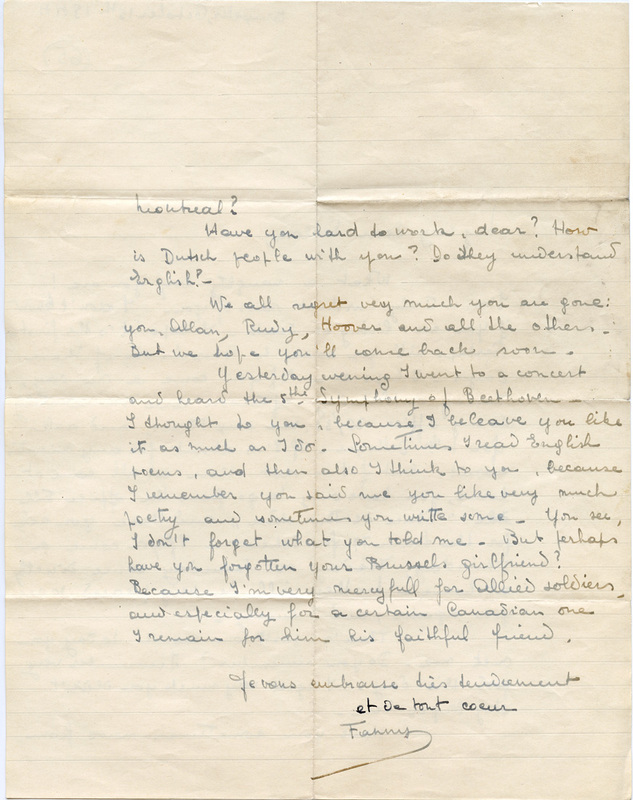 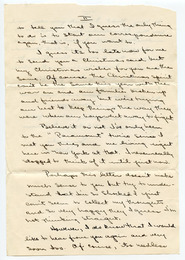 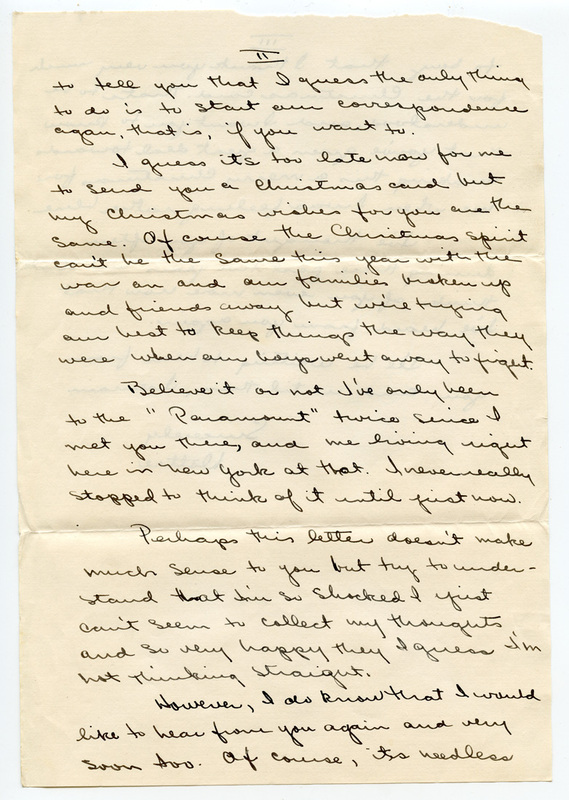 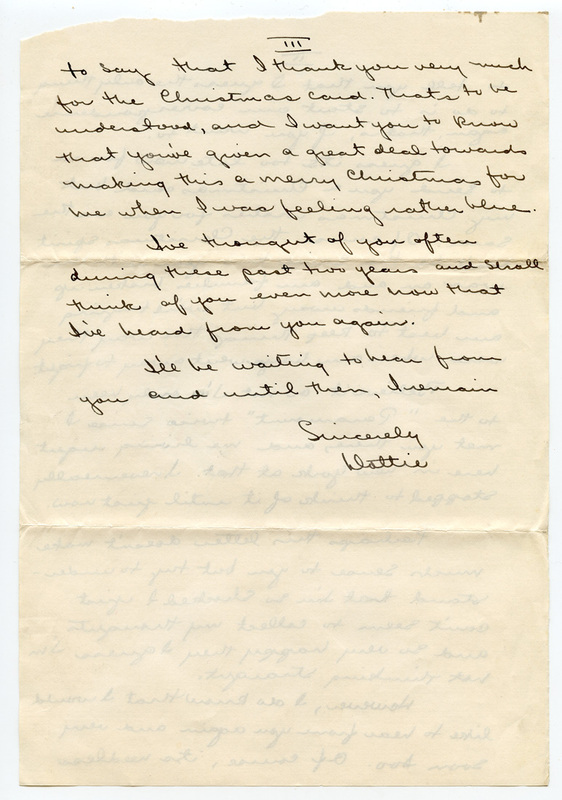 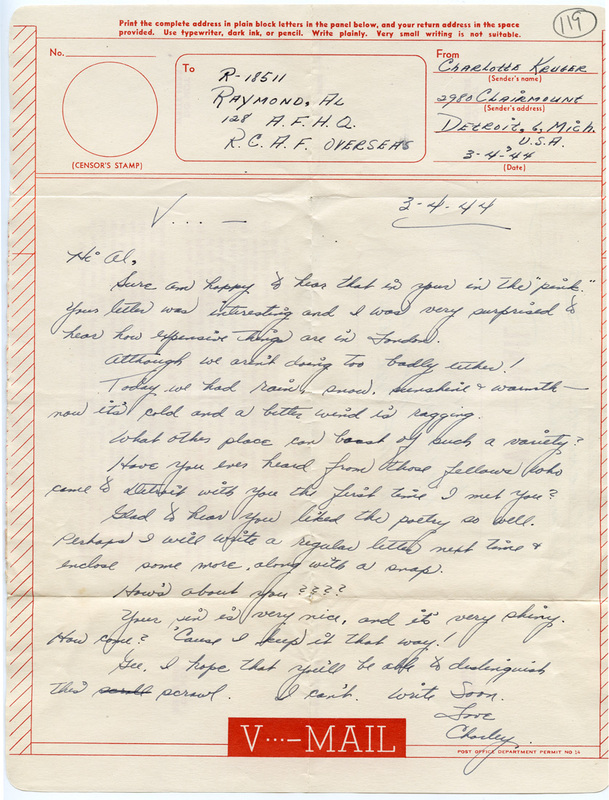 Letter from Dorothy Gerder to Allan Raymond, noting that Christmas is not the same with the war going on. 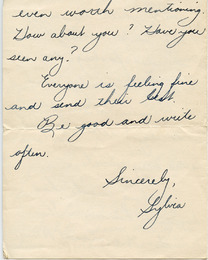 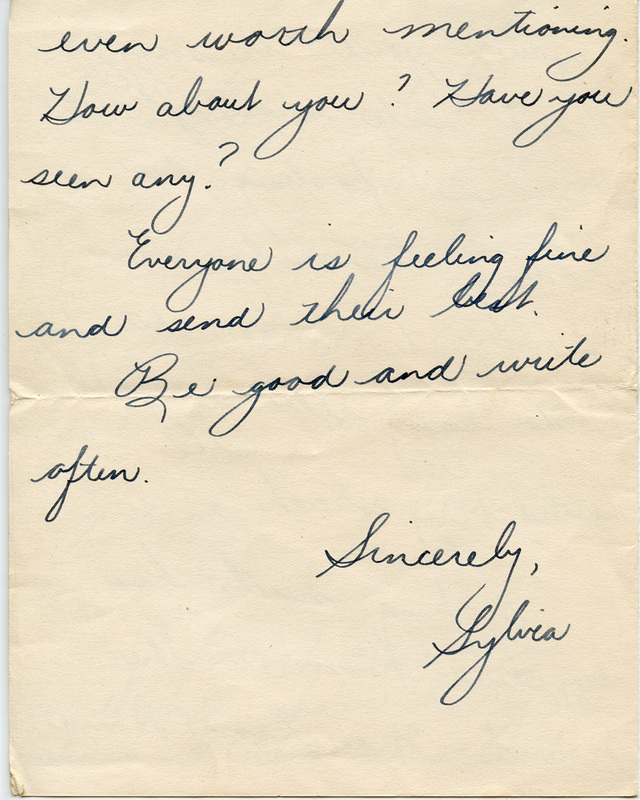 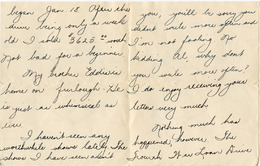 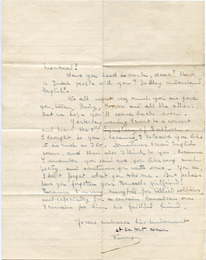 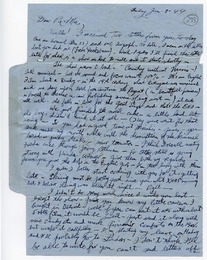 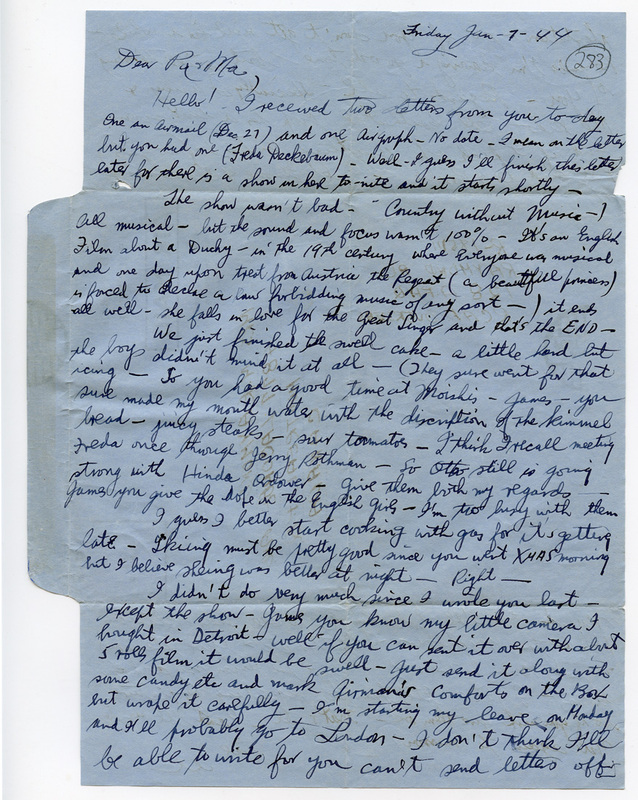 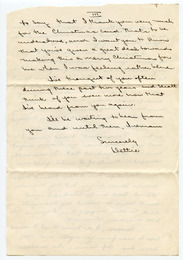 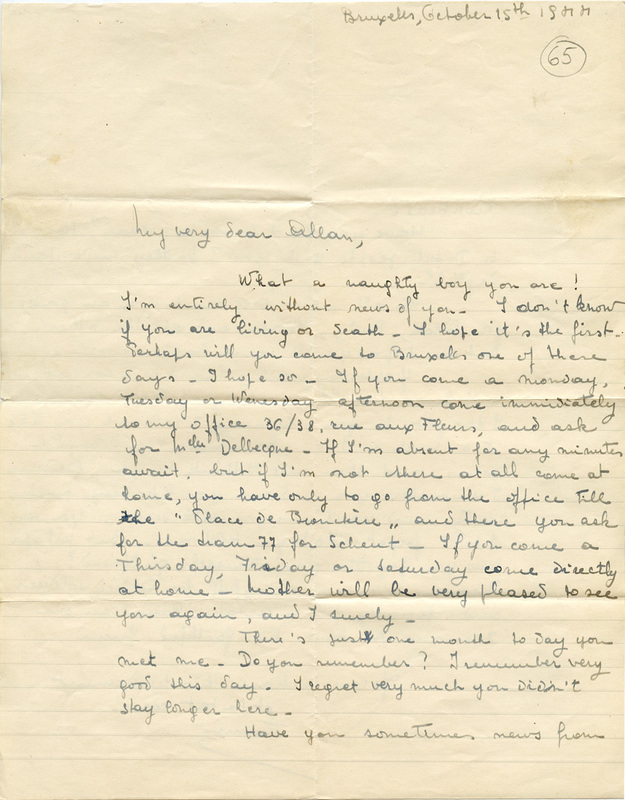 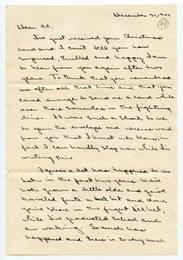 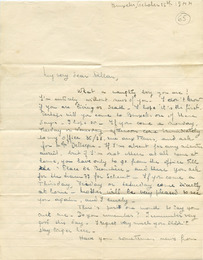 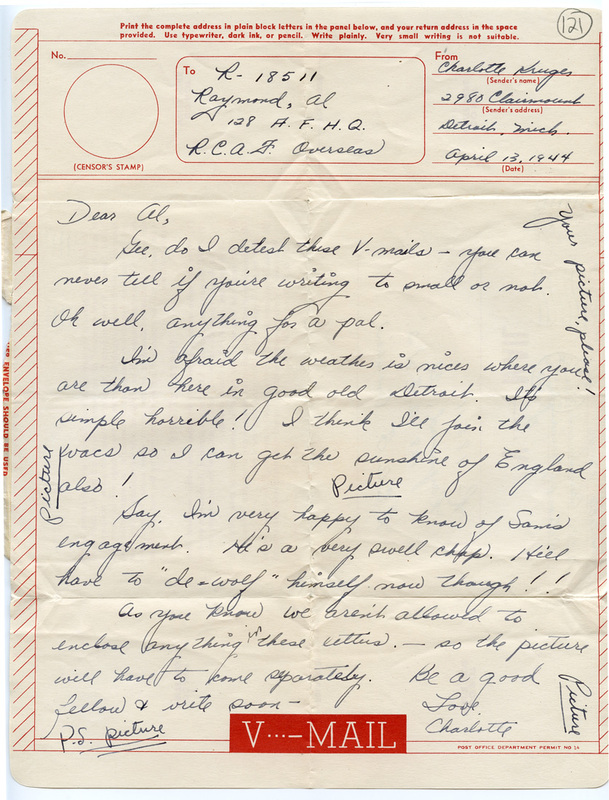 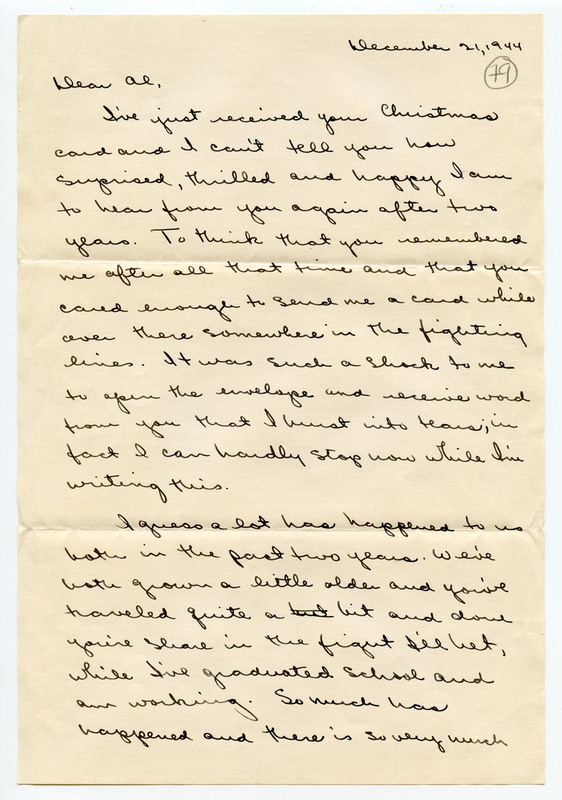 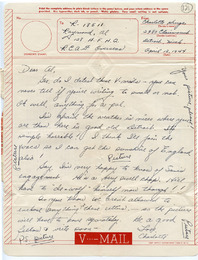 Letter from Sylvia Kornfield to Allan Raymond, mentioning the Fourth War Loan Drive. 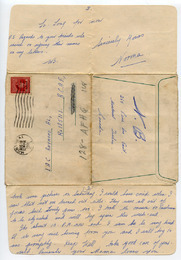 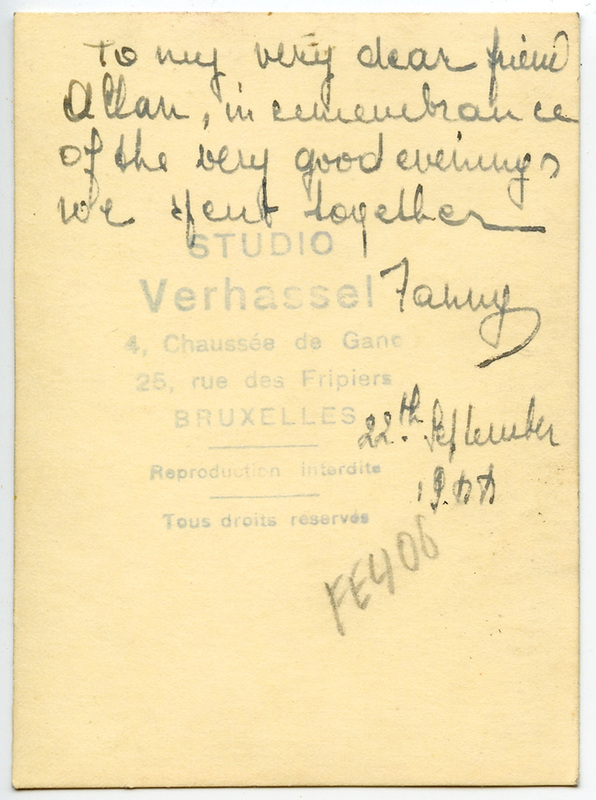 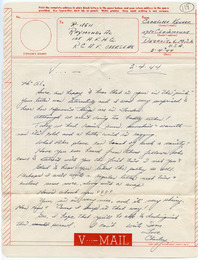 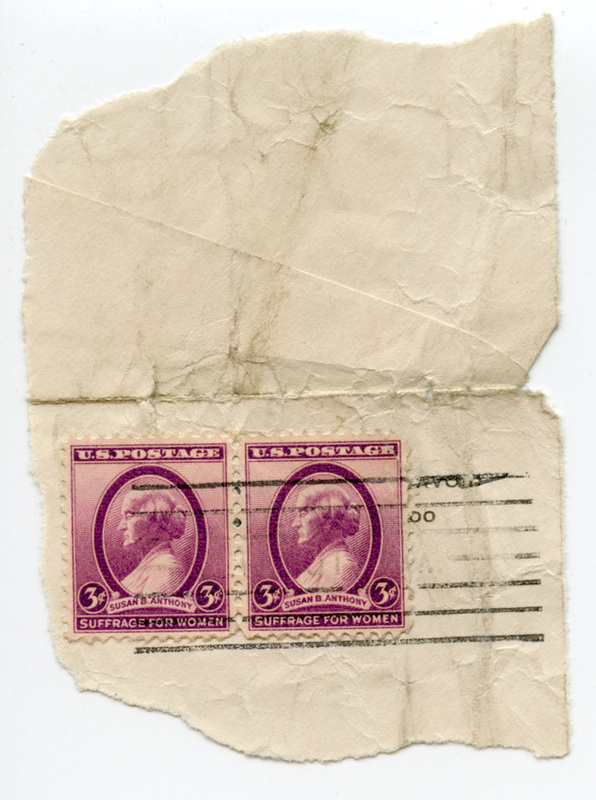 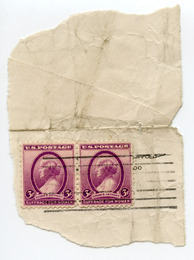 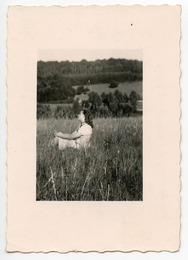 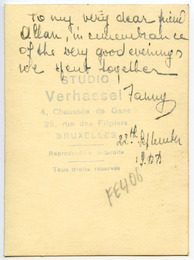 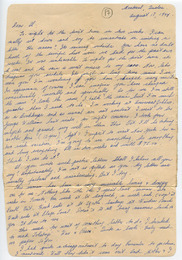 Letter from Charlotte Kruger to Allan Raymond on V-Mail paper. 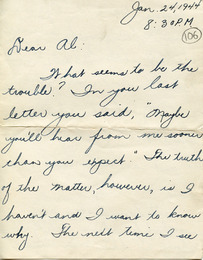 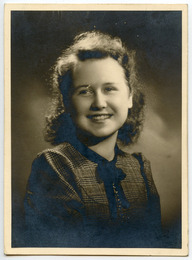 Letter from Charlotte Kruger to Allan Raymond.